According to the latest data from the Ministry of Agriculture and Rural Development (MARD), agro-forestry-fishery exports in March were estimated at US$3.3 billion, bringing the total export value of the sector in the first three months of 2019 to US$8.8 billion, down 2.9% compared to the same period in 2018. In particular, the export value of the main agricultural products was at US$4.2 billion, down 13.4%, the seafood export value estimated at U$$1.8 billion, up 0.5% and the export value of the main forestry products was US$2.4 billion, up 16.5%. Several items witnessed significant increases in export value in the first quarter including tea, with exports estimated at 26,000 tonnes, worth US$45 million, up 2.1% in volume and increasing 15.4% in value compared to the same period last year and rubber at nearly 350,000 tonnes, raking in US$461 million, up 32.8% in volume and 18.5% in value. However, other key agricultural products continued to decline in both quantity and value. For rice, the volume of this key commodity in the first three months of the year was estimated at 1.43 million tonnes, bringing in about US$593 million, down 3.5% in volume and 20.2% in value compared to the same period last year. Thanks to a strong increase in both volume and value, the Philippines is currently ranked first as Vietnam's top rice export market. Although rice exports in Q1 have faced difficulties, the MARD forecasts that there will be new contracts in the second quarter as Vietnam's rice is at competitive prices with other rice exporting countries. 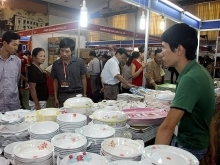 Therefore, there are a number of rice export contracts to be granted to Vietnamese businesses. 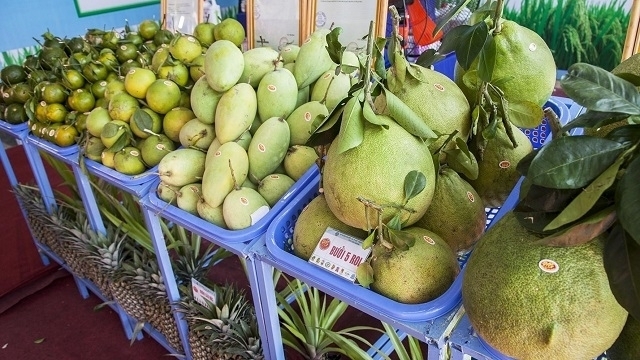 The local fruit market has shown signs of recovery after the first two months of the year due to a decrease in demand from China as the harvest period in the neighbouring country coincides with the harvesting time of several Vietnamese fruits. However, the export value of vegetables and fruits in the first quarter still decreased by 9.3% compared to the same period last year, reaching US$879 million. China is still ranked first among the top Vietnamese fruit and vegetable import markets, accounting for 73% of the market share. The MARD also announced that the value of agro-forestry and fishery imports during Jan-Mar reached US$7.25 billion, up 4.6% over the same period in 2018, adding to the US$1.55 billion surplus for the sector during the three-month period.